Mod Tools : X360USB PRO V2 Connectivity Kit for Xbox 360 - SHOP01MEDIA - console accessories and mods, retro, shop - One Stop Shop! CKi3i integrated! Works on all Xbox 360 DVD drives. No hassle and compatibility issues. The easiest possible way to connect your 360 DVD drive to your PC with full access to all features, plug and play.CKi3i integrated! Works on all Xbox 360 DVD drives. No hassle and compatibility issues. The easiest possible way to connect your 360 DVD drive to your PC with full access to all features, plug and play. 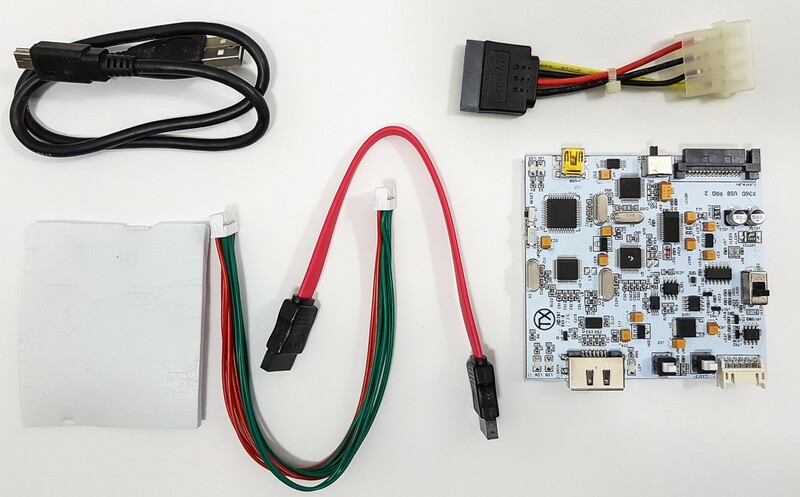 >> See how to use X360USB Pro + Sputnik + Probe! >> A new Xbox 360 harddrive hacker tool released! Makes easy to convert any gdd to XBox 360 compatible hdd. 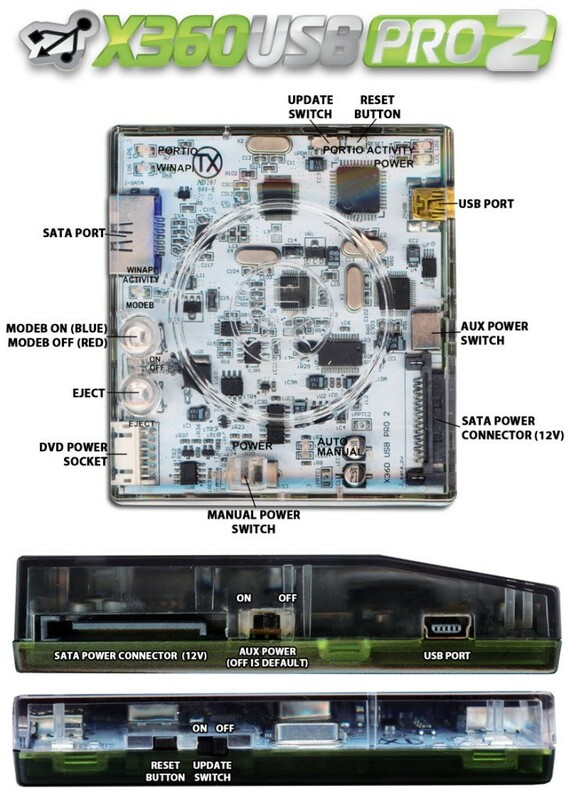 New in version 2 - integrated CK3i for DVD power. 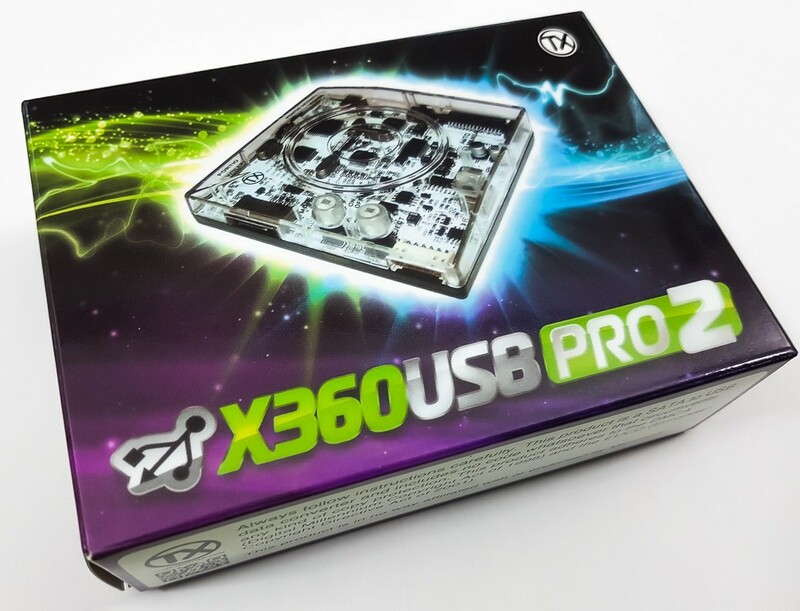 The X360USB PRO was the world’s first SATA to USB Mass Storage controller that not only enabled WINAPI over USB, but also PORTIO. Xecuter has taken the design one step further by integrating all of the functions of the hugely successful CK3i! This powerful all-in-one tool is the result of an intense design collaboration between Team Xecuter and Team Jungle. The X360USB PRO v2 is the most advanced WINAPI/PORTIO to USB adapter & 360 Connectivity Tool ever created. One stand-out feature is that you are now able to connect all 360 DVD Drives and 360 Hard Drives to any PC or Laptop simply by connecting to a USB port, and when used with Jungle Flasher all of the DVD Drive’s Power and flashing capabilities are included and also with the option of complete automation. No more struggling with specific SATA chipsets or issues with awkward operating system setups or any strange power or eject timing issues for vendor mode, not to mention so much faster and more noob-friendly than anything else on the market. Now tasks such as repairing your Xbox 360 DVD Drive’s firmware or upgrading your broken DVD Drive to a new one without the expensive fees charged by the manufacturer just got easier than ever before. Whether you are a beginner or advanced user, this multi-use Mass Storage controller is an essential addition to any toolkit. You can even connect your 360 Hard Drive to get full access to your files, or even connect any Western Digital Hard Drive and convert it to be 360-compatible using the X360USB PRO HDD Hacker tool – no other device can do this in Windows! The layout of the entire circuit has also been completely redesigned using the same high-end facility that produces the best-selling X360USB PRO v1, and is now packed with more features than ever before, giving you everything you need in one handy device. This truly is the modder’s tool of choice. You will also be happy to know that the X360USB PRO v2 is released complete with its slick-designed case to give extra protection and a quality design that is not just on the inside, but on the outside too. It’s no secret that production has been delayed since the end of 2011 as Xecuter were working on a new killer feature that would seal the deal for the X360USB PRO v2 as being the absolute ultimate in 360 DVD/HDD connectivity and data conversion/transfer. As of March 2012, success was achieved in giving the X360USB PRO v2 a truly awesome feature. You are now able to connect any stock 360 DVD Drive to your computer using the X360USB PRO v2 via USB and it will instantly give it a drive letter in Windows! No custom firmware required, no 0800 firmware required, ANY stock 360 Drive can be used to rip backups using a new upcoming version of XBC with a fully optimized profile giving total support for XGD3 with the data throughput supporting the maximum possible bus speed using ANY stock 360 DVD Drive model (That’s all Phat and all Slim models – including the Hitachi 0500 !). It has been suggested by another manufacturer that using USB3 gives faster ripping speeds, but obviously this is nonsense as USB2 supports up to 22x, and the 360 DVD Drive peaks at around 12x – so you will have the maximum possible speed that the system can handle available to you at all times. This has never before been achieved and we feel it gives the X360USB PRO v2 the honor of truly being the most powerful tool ever created for the 360 Repair professional. Whether you are a beginner or advanced user, this multi-use Mass Storage controller and Automated Power Adapter is an essential addition to any toolkit. Repair your Xbox 360 DVD Drive within minutes – no more weeks of waiting! Convert any WD Hard Drive to be 360 Compatible using X360USB PRO HDD Hacker tool in Windows! 100% Compatible with all 360 DVD Drive models both Phat and Slim. We recommend all rips are run through ABGX to get the perfect median AP2.5 Profile. The X360USB PRO 2 has two sets of drivers, one for the CK3i Drive power controller and the other for the X360USB PRO USB Data Controller. The CK3i drivers are only required if you wish to use the automated power/eject/half tray functions in JungleFlasher. The manual method can be used without the CK3i drivers. Remember that the AUX Power Switch is to be set to OFF at all times. This switch is only ever used when troubleshooting power problems. Setting it to ON when not required will cause problems with driver installs and functionality. NOTE: A 12v Molex Power Supply is required if you wish to use the full functionality of the X360USB PRO V2. If you don't have one of these then you can use a 5v USB to MOLEX cable but eject will not work (which is fine for some drives as eject isn't needed when flashing). 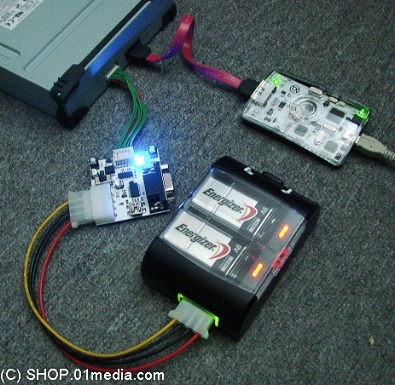 You can use the Xecuter battery operated Molex PSP (see the image showing CK3i and USB Pro V1). NO returns and refounds, only exchange if deffective.